NEWS FROM JAPAN: SAYONARA NUCLEAR POWER! INTERNATIONAL DAY OF PEACE: "MAKE YOUR VOICE HEARD"
We are pleased to send you some information about the Global Article 9 Campaign to Abolish War's recent activities and related developments. Tens of thousands of people have taken to the streets in Japan in recent weeks to protest against nuclear power. 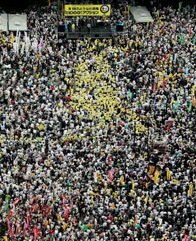 According to the organizers or the largest of these protests, some 60,000 people gathered at Meiji Park on September 19 before marching through downtown Tokyo, chanting slogans such as "Sayonara nuclear power!" and "TEPCO must pay compensation to the victims." According to The Japan Times, such a "huge turnout even surprised the participants", in a in a country with little experience in mass protest. Speakers at the rally included prominent figures such as 1994 Nobel Literature Laureate Oe Kenzaburo, journalist and Co-Initiator of the Global Article 9 Conference held in 2008 Kamata Satoshi and actor Yamamoto Taro. Organizers have launch a petition that aims to collect 10 million signatures calling on the government to cancel construction plans for new nuclear power plants, close existing nuclear power plants, and operate an "immediate shift in energy policy towards energy conservation and placing natural energy in the center". According to a poll by the Mainichi Shimbun, 65% of the respondents are in favor of holding a referendum on nuclear power. Despite massive popular mobilization, new Prime Minister Noda Yoshihiko has significantly reversed his pre-electoral position on Japan's dependence on nuclear power, and made a series of statements on the need to resume operations of nuclear reactors and continue to export the country's nuclear power generation technology. In an interview with the Wall Street Journal, Noda indicated he was aiming at restarting nuclear power plans' operation "in the period from spring to summer of next year". A few days later at the high-level meeting on nuclear safety and security called by UN Secretary-General Ban Ki-Moon in response to the Fukushima nuclear disaster, Noda confirmed his intentions, stating: "We will heighten the safety of our nuclear reactors so that they attain the highest standards in the world." In anticipation to this meeting, Reaching Critical Will facilitated a civil society study on nuclear power and published an in-depth report, which incorporates views from NGOs from around the world. Earlier this month, Japan-based international NGO Peace Boat announced the holding of a Global Conference for a Nuclear Power Free World in Japan next year. 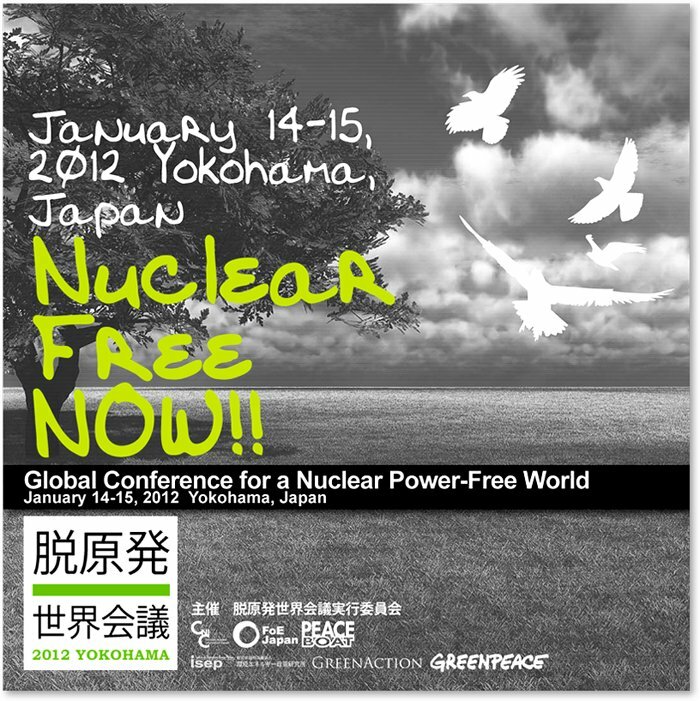 Organized by a coalition of six Japanese NGOs (namely teh Institute for Sustainable Energy Policies, Green Action, Greenpeace Japan, Citizens' Nuclear Information Centre, FoE Japan and Peace Boat), the conference will take place on January 14-15, 2012. This event will create a venue for people from all around the world to gather in Japan and learn from the reality of Fukushima. It will also be an opportunity to bring together "Global Hibakusha" - victims of radiation from all over the world to learn from each other's experiences and illustrate the threat the nuclear chain (from uranium mining to nuclear waste) poses to people and to the environment. Through the participation of experts, scientists, activists, artists and more, the conference will seek to develop a realistic plan of action to transition from nuclear power to sustainable alternative sources of renewable energy and show the governments around the world that creating a society that is not dependent on nuclear power is possible. For more information on the Global Conference for a Nuclear Power Free World, visit the conference's website (in Japanese) here or read information in English here. Download Reaching Critical Will's report "Costs, risks, and myths of nuclear power: NGO world-wide study on the implications of the catastrophe at the Fukushima Dai-ichi Nuclear Power Station" here. September has been a busy month for nuclear weapons abolition campaigners. 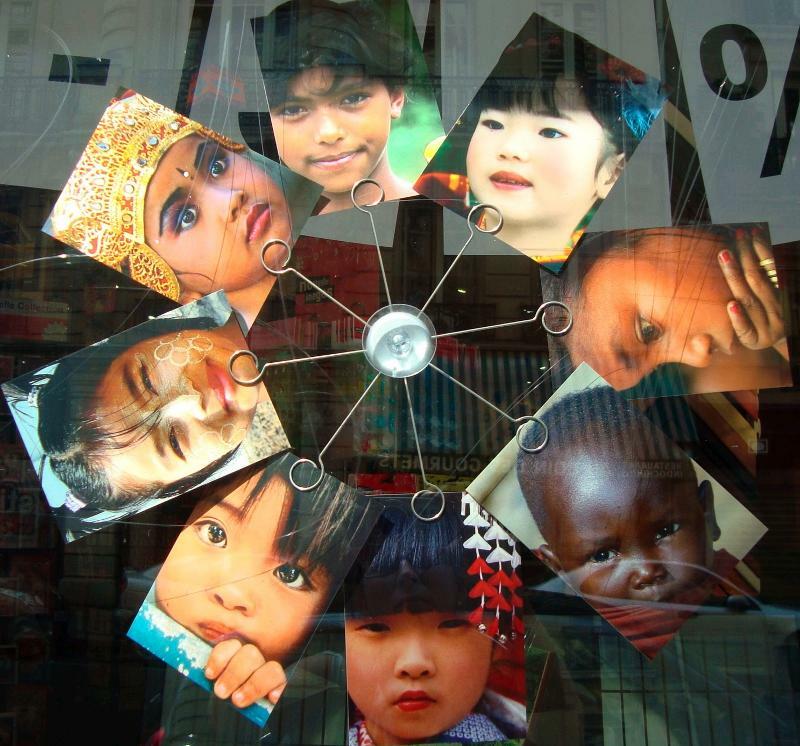 Many from all over the world travelled to Geneva, Switzerland to attend a series of events, namely the Annual General Meeting of Abolition 2000 as well as the international conference of ICAN- the International Campaign to Abolish Nuclear Weapons. As a network of more than 2000 organizations in over 90 countries, Abolition 2000 links organizations and initiatives from around the world working for the elimination of nuclear weapons through a global treaty, and promotes simultaneous action on steps and measures supporting that goal. It also calls for the phase-out of nuclear power and development of sustainable and environmentally safe energy sources. On September 16, members of Abolition 2000 reviewed their efforts and the work of its various working groups and affiliated networks, and strategized on how to achieve a world free of nuclear weapons. Discussions focused on a wide range of topics, including de-alerting, deterrence, divestment, radiation and health, and much more. Immediately following the Abolition 2000 event, some 120 activists, campaigners and experts from over 30 countries came together for the ICAN International Conference on September 17-19 to discuss how to create a momentum for nuclear abolition now. Through plenary sessions, workshops and forums, participants exchanged ideas, learned from each other's experiences, and refined strategies for the future of the campaign. Among the many dimensions explored figured the humanitarian aspects of nuclear abolition, the threat posed by nuclear technology on health and the environment, the economic costs of the nuclear industry, as well as the use of social media as a powerful tool for campaigning. One of the three days of the conference was dedicated to the Middle East and Africa, looking at the particular contexts and needs for those regions. The event concluded with some plans of action and many avenues to explore and deepen. View the ICAN video on youtube here. For more information about ICAN, visit its website here. Visit Abolition 2000's website here. It is with great sadness that the Global Article 9 Campaign has learned of the passing away of Kenya's Nobel Laureate Professor Wangari Muta Maathai. A great advocate for sustainable development, democracy, peace, and justice, she founded the Green Belt Movement - a community-based tree planting initiative towards poverty reduction and environmental conservation - in 1997. She later served in Parliament and was appointed deputy minister for the environment in 2003. She became the first African women to be awarded the Nobel Peace Prize in 2004. She was one of the founders of the Nobel Women's Initiative. Her lifelong commitment and work to eradicate poverty, empower women, and build a sustainable future for humanity has inspired all of us and will continue to do so. Wangari Maathai has been a strong supporter of the Global Article 9 Campaign "...I want to say that this Article Number 9 in the Japanese Constitution is an ideal .... Those of us who work for peace, those of us who work for [the] environment, those of us who work for a more just and fair world are inspired by this clause and would like to see the world create this - as a dream, as a vision..."
The Global Article 9 Campaign sends its heartfelt condolences and is resolved to keep her message alive. Visit the Green Belt Movement's website to view and share condolences here. Visit the Nobel Women's Initiative website here. View a video message of Wangari Maathai on Article 9 of Japan's Constitution here. The International Day of Peace is celebrated annually around the world on September 21 to call for non-violence, ceasefire and peace. The UN General Assembly established it in 1981 as a day to raise awareness on conflict prevention and peacebuilding, highlight the work being done to build peace around the world and generate a global call for peace. This year again, many of the supporters of the Global Article 9 Campaign around the world have held events and/or released statements at this occasion. With this year's theme being "Peace and Democracy: Make Your Voice Heard," UN Secretary General Ban Ki-Moon called on the world to "speak out: for social justice and freedom of the press; for a clean environment and women's empowerment; for the rule of law and the right to a say in one's own future." In a ceremony in the Rose Garden at UN Headquarters in New York, Ban rang the Peace Bell and called to observe a minute of silence in the presence of the President of the UN General Assembly and a number of UN Messengers of Peace. At the UN in Geneva, an event was organized by the permanent missions of Costa Rica (which introduced the original General Assembly resolution creating this day in 1981) and Spain, in coordination with the Spanish Society for International Human Rights Law (SSIHRL) and the Foundation Peace Without Borders and the support of the Non-Governmental Liaison Unit of the United Nations Office at Geneva (UNOG). At this occasion, the video "Peace is a human right" was screened for the first time - an important tool in the campaign to the recognition of the human right to peace within the United Nations. Mayors for Peace seized this opportunity to make the announcement that the network had reached 5000+ members in 151 countries and regions, including well over half of the capital cities and largest cities of the world, making Mayors for Peace by far the largest international, direct-membership association of local governments. Focusing on the role of civil society in creating peace, the Global Partnership for the Prevention of Armed Conflict (GPPAC) has encouraged annual observances of the International Day of Peace as an important means to raise global awareness of the importance of peace and conflict prevention in order to increase the pressure on policy makers, governments and international organizations around the world. Among the many activities organized by GPPAC members figure the holding of an event to honor women-led initiatives for peace and humanitarian disarmament in South Asia in New Delhi, India; the circulation of a media spreading the message of "making peace the news" in all GPPAC Pacific countries; an awareness raising programs aimed at consolidating civil peace in various regions of Lebanon and social reintegration of young people in Beirut, Lebanon; a roundtable a roundtable on the construction of peace in Latin America and the Caribbean in Rio de Janeiro, Brazil; and more. Read Ban Ki-Moon's statement here. For more information about the event held in Geneva, visit the SSIHRL website here. For a complete list of Mayors for Peace's member-cities and more, visit Mayors for Peace's website here. Read more about GPPAC's activities on the International Day of Peace here.